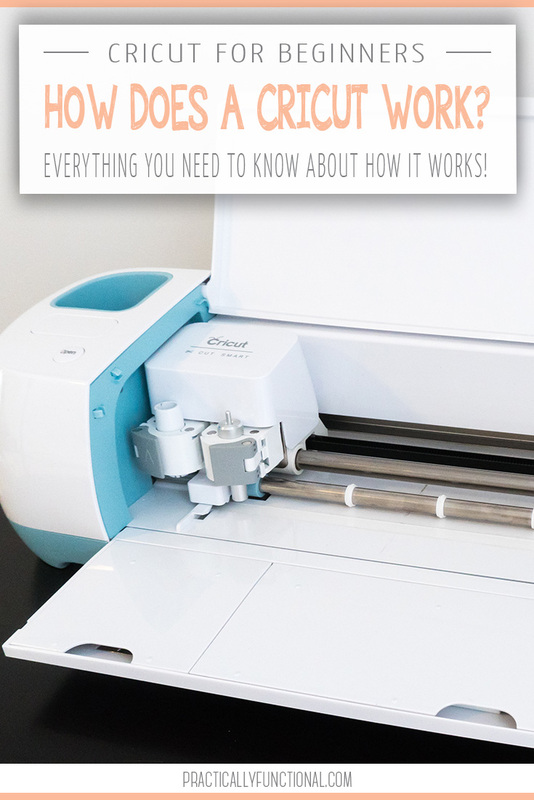 Home > Projects > Crafts > How Does A Cricut Machine Work? 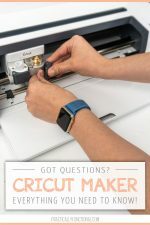 Pinterest is full of photos of awesome projects made with a Cricut machine, but have you ever wondered how to actually make all those cool things with your Cricut? 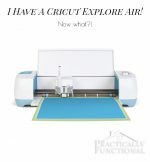 If you’ve ever wondered “How does a Cricut machine work?”, you’re in the right place; today I’m going to tell you all about how the Cricut Explore Air machine works! 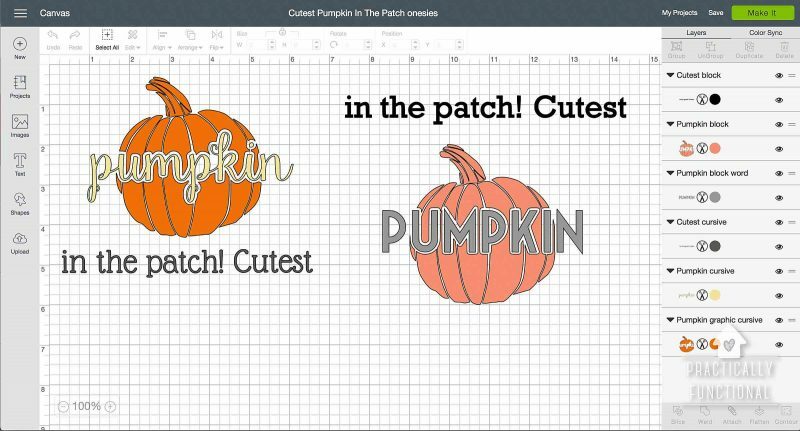 I’ve been using my Cricut Explore Air for a long time now, and I’m always discovering new things it can do! My favorite thing about Cricut machines is that they’re easy enough for total beginners to use, but powerful enough for super advanced crafters to make really awesome things! Well, the simple answer is that the Cricut Explore Air works like a printer, except that instead of printing, it cuts a design out of whatever material you want! 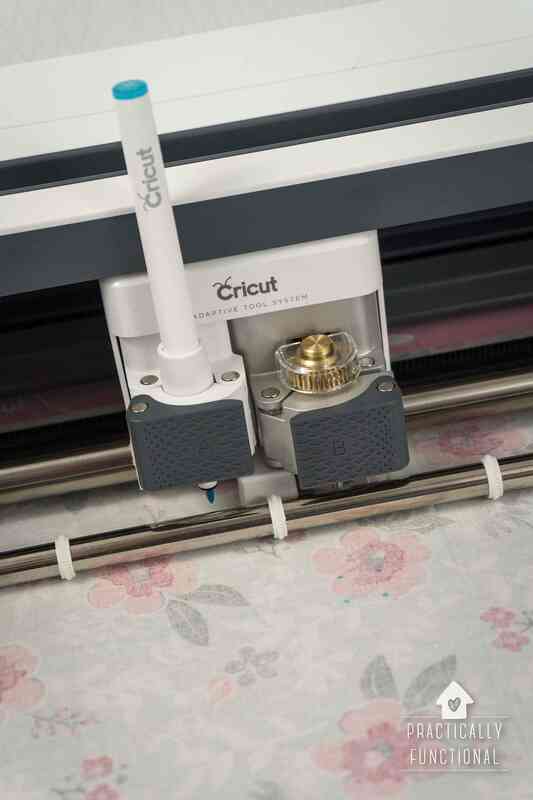 In reality, it’s a little more complicated than that, because the Cricut can also “print” by drawing out your design using Cricut pens, or it can score your design or emboss it; it all depends on what tool or accessory you mount in the dual carriage head of the machine. But let’s start from the beginning…first you have to have a design! 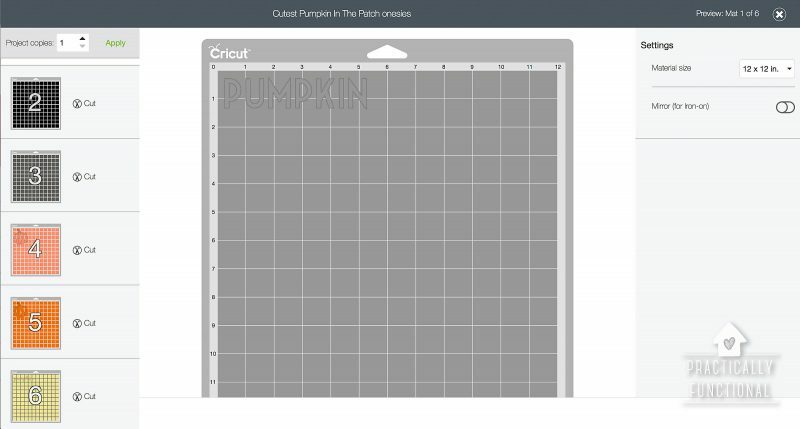 To create your design, you need to use Cricut Design Space, which is a free web app available for your PC or Mac. You can also use Design Space for iOS if you want to use your iPhone or iPad to design, or there is a beta version of Design Space for Android available now. 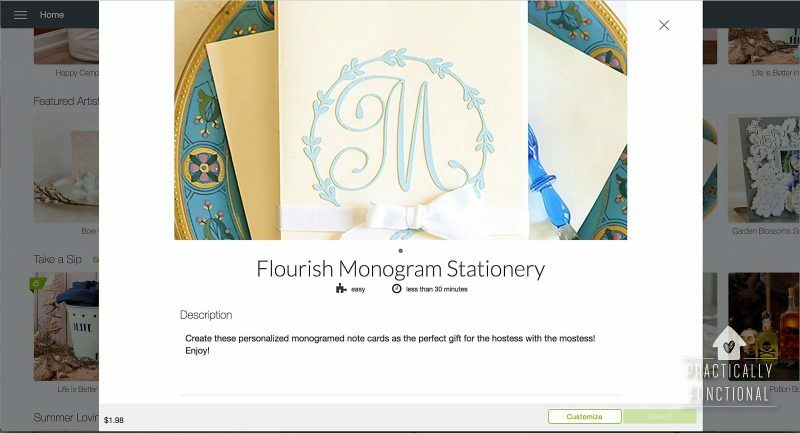 Design Space is the software that connects your computer to your Cricut machine. 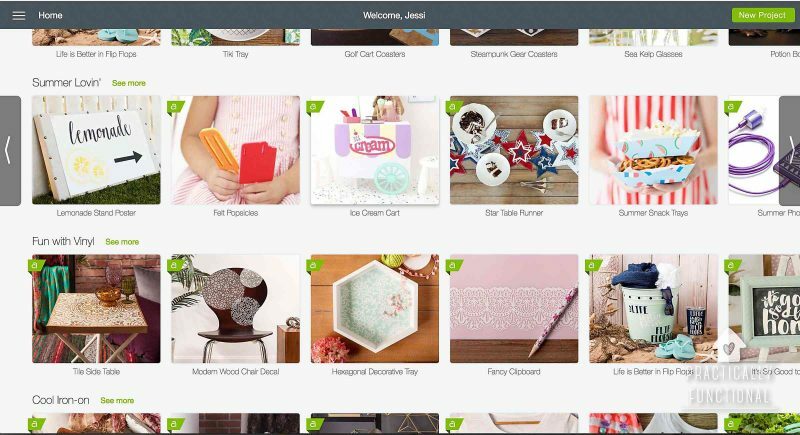 The Cricut Design Space library is full of thousands of pre-designed projects that you can download and create yourself. You can make the project exactly as designed, or you can customize it if you wish. When you click on a project from the Design Space library, you’ll see options to Customize It (so you can resize it, change text, etc.) or Make It Now (if you want to recreate it exactly as originally designed). 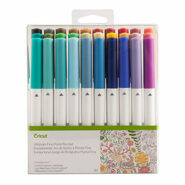 Or you can create a brand new design from scratch within Design Space using their design tools. 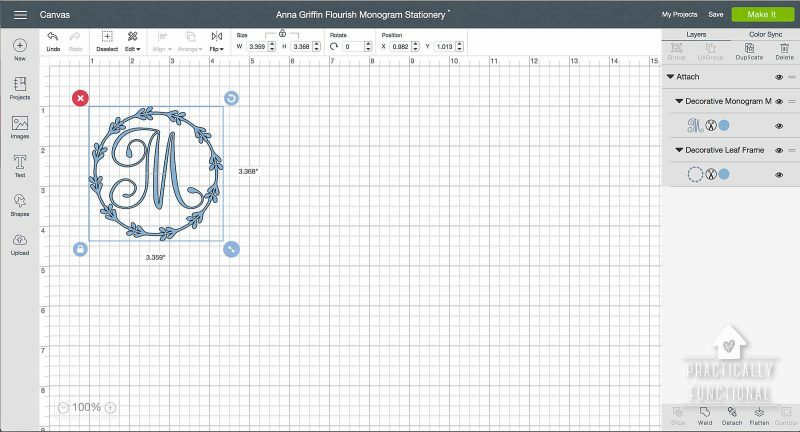 You can add text, images, upload your own images, resize, modify shapes, etc. to create your perfect design. 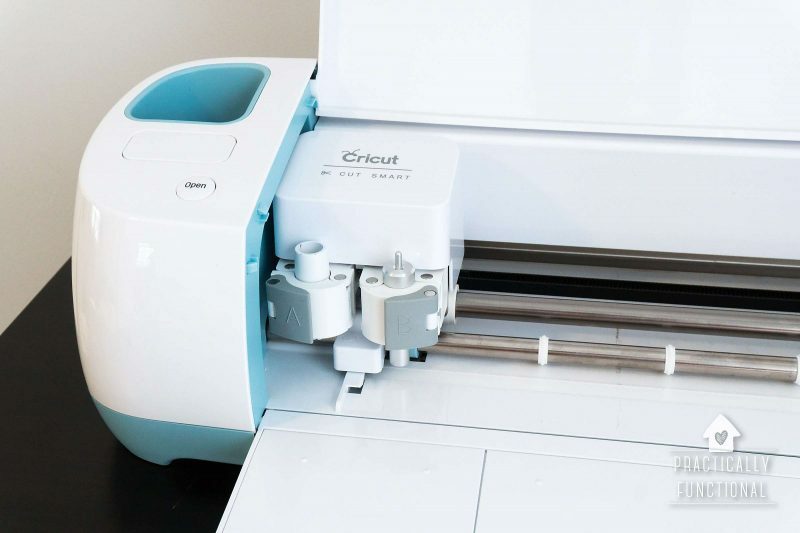 Once your design looks exactly how you want it, it’s time to prep your Cricut machine. This step is super simple. Turn the machine on. Seriously though, it’s that simple! You don’t need to load your materials or mess with the dial or anything at this point; the software will give you detailed instructions for all of that in Step 3. 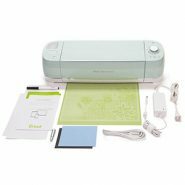 If it’s your very first time using your Cricut machine, the instruction manual will walk you through pairing your Cricut Explore Air with your computer via bluetooth. But after you pair the machine with your computer (or smartphone or tablet) for the first time, all you need to do to use your machine in the future is turn it on; it will remember the pairing and be ready to go! The last step is to send the project to the Cricut machine. 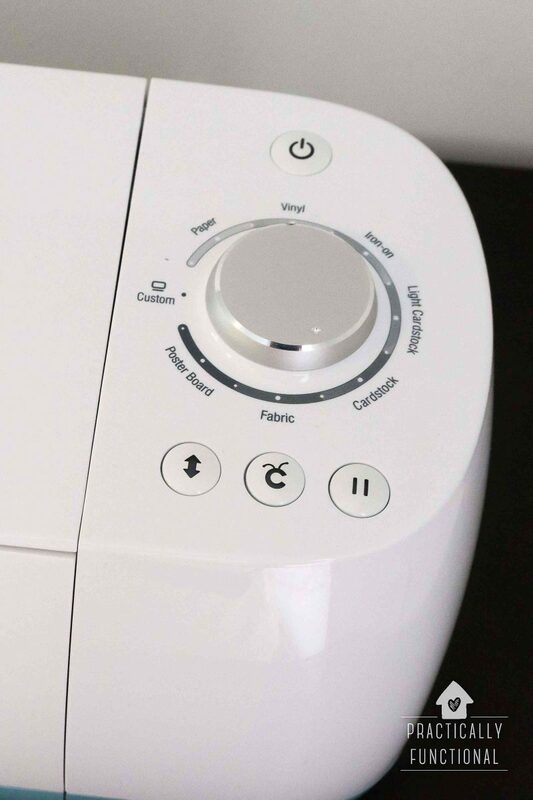 Once you’re happy with your design and your machine is powered on, just press the big green MAKE IT button in the top right corner of Cricut Design Space. The software starts by previewing all of your different mats. Each mat is one sheet of material, so if you have three different colors in your project, you will have three different mats. 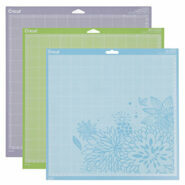 If you’re using paper and fabric for a project, you will have one mat for each material. On this screen the first thing you need to do is set the quantity you want to cut (if you’re making two cards, tell it to make 2 Project Copies in the top left). 12″ x 12″ is the standard size for most materials you’ll be cutting, but if your material is a different size, change the Material Size drop down to reflect that. And if you’re planning to make an iron-on design, flip the Mirror switch to mirror your design so that it appears correctly on your finished project. Click Continue at the bottom right corner when you’ve set those settings and are ready to send the design to your Cricut. The next piece will walk you through setting the dial and loading your materials. The software will walk you through all the steps from there. No matter how complicated your project is, or how many different colors, materials, or pieces it has, you can just follow the on screen instructions at every step and your project will come out perfect! The machine starts with Mat #1 and moves on through the mats from there. Decide what material you’re going to use for your first mat (paper, vinyl, fabric, leather, etc.) 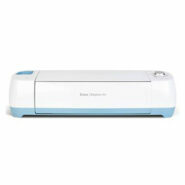 and set the dial to the desired material, and the Cricut will automatically adjust blade depth, pressure, speed, etc. to make sure that your project comes out perfect! From there, all you have to do is follow the instructions on the screen and it will walk you through setting the dial, loading your mats, cutting, drawing, scoring, etc. for every piece of your project. Once you’ve cut out every mat, you’re ready to go! Assemble your cut out pieces, and you’re done! 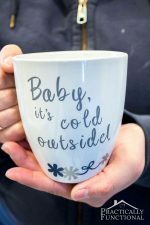 If you are looking for some great project ideas for using your Cricut machine, check out my Cricut Project Gallery! I’ve been trying to decide if I should get one of these for a while! I always see people make sure cool products, but right now I have a 2 year old and a second one on the way, so I’m worried there won’t be enough hours in the day to craft. Either way, I’m definitely bookmarking this overview! 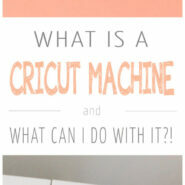 That’s the brilliant thing about a Cricut; it makes it so easy and fast to make crafts! Congratulations on your growing family!! !